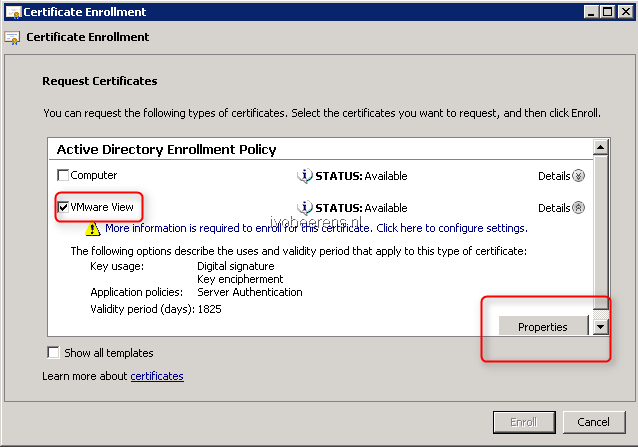 For VMware Horizon View it is recommends that you configure your VMware View Horizon Servers with a signed SSL certificate. 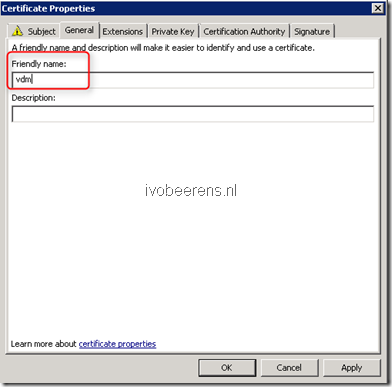 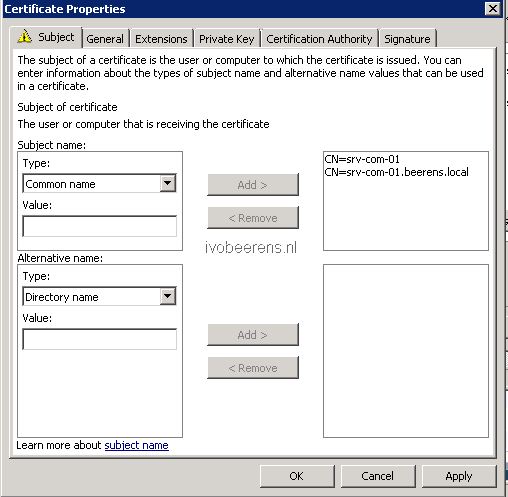 Default when you install a VMware View Horizon servers, a certificate is generated that is not signed by a CA. 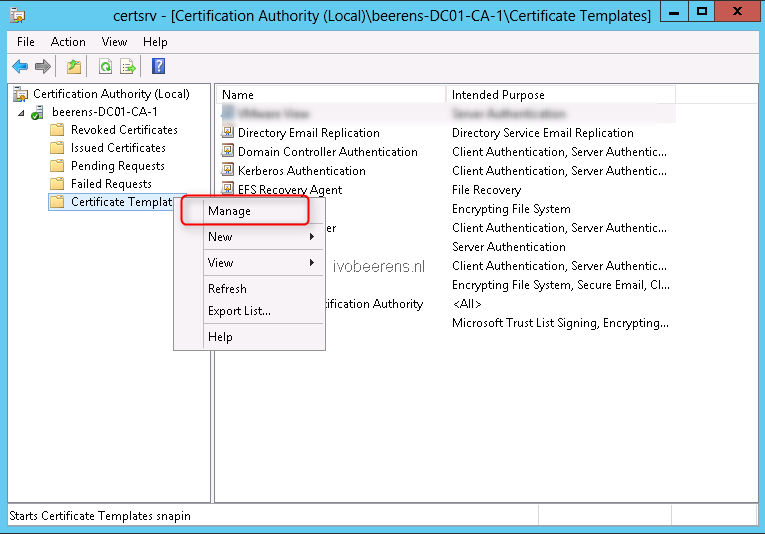 Because it is not signed by a CA It is possible to to intercept traffic. 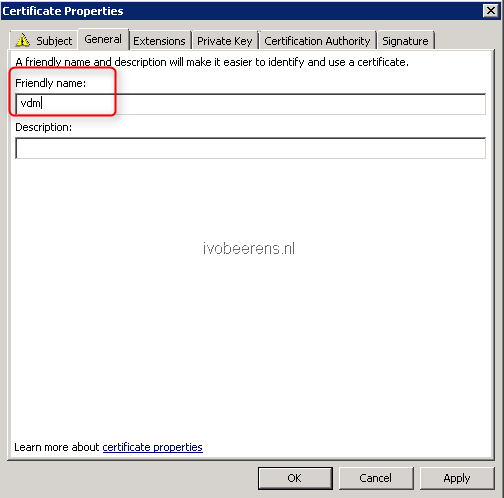 So it is highly recommend to replace the default certificate with a signed certificate after the installation. 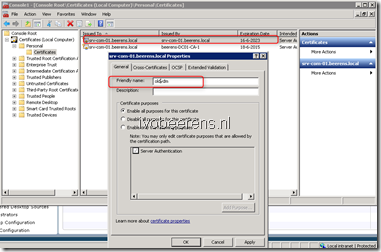 In the VMware View Horizon Administrator dashboard you can see that the Connection Server does not have a valid signed certificate. 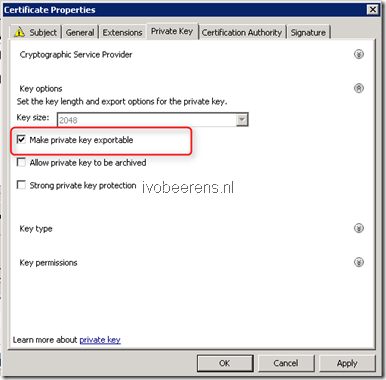 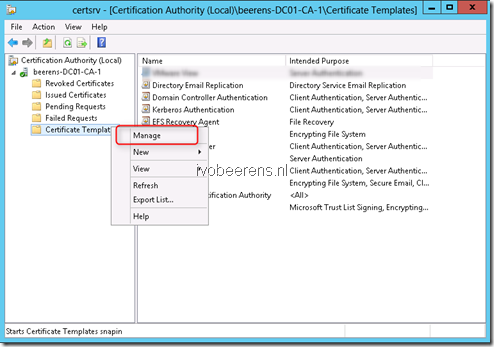 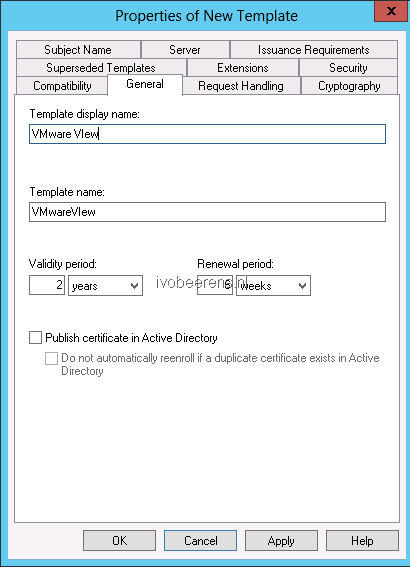 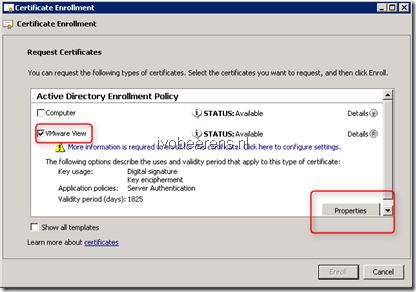 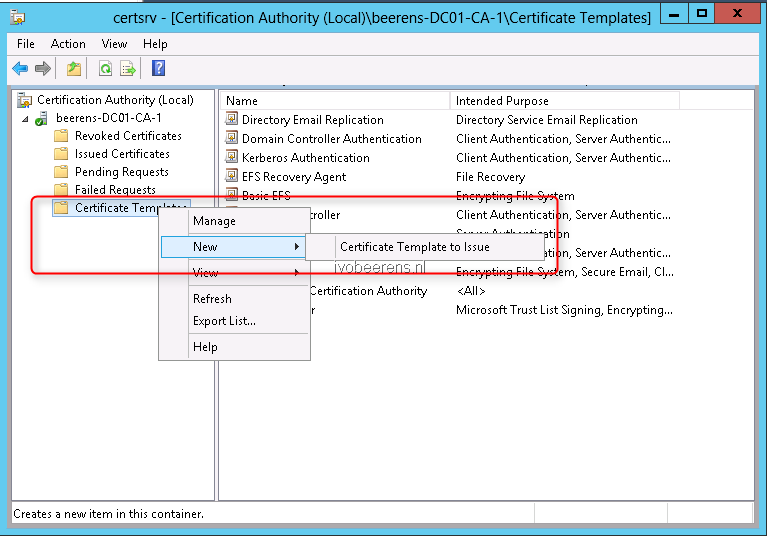 The following steps explains how-to create a signed certificate and replace the self-signed certificate on the VMware View Horizon Connection Server(s). 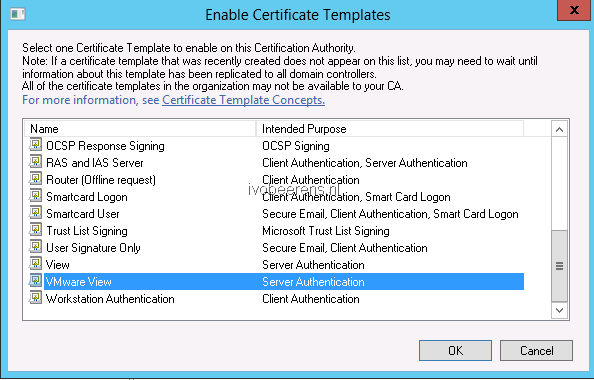 As CA is a Windows Server 2012 Enterprise Certificate Authority used. 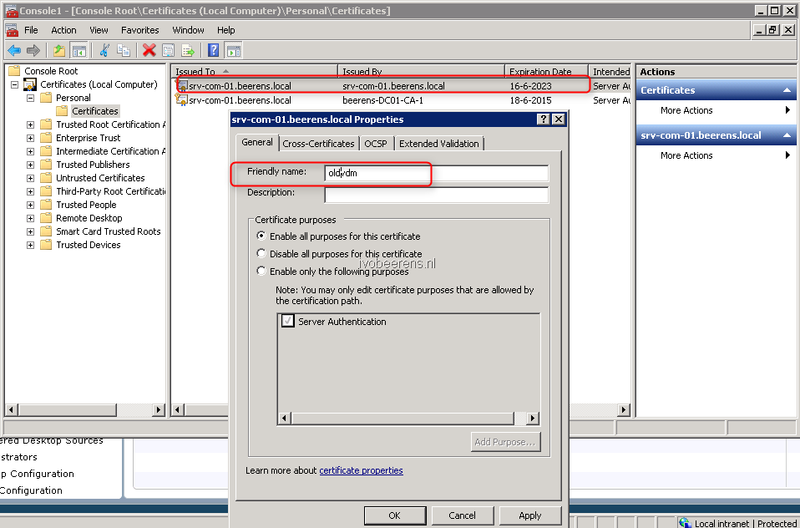 The installation of this CA is not part of the steps! 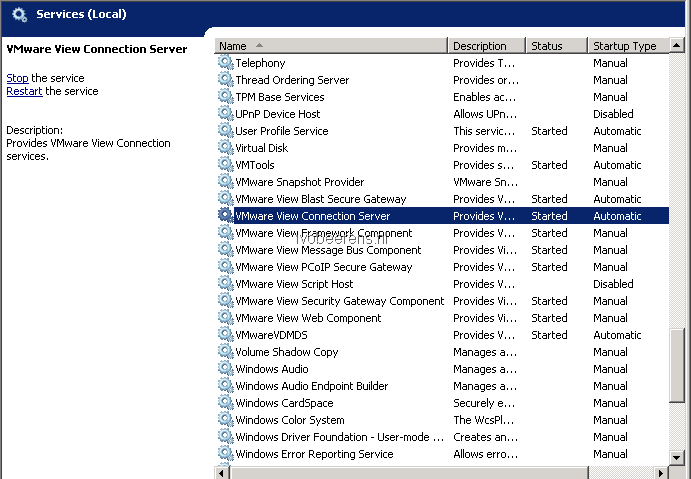 The VMware View Horizon Connection Server(s) are installed on Windows Server 2008 R2. 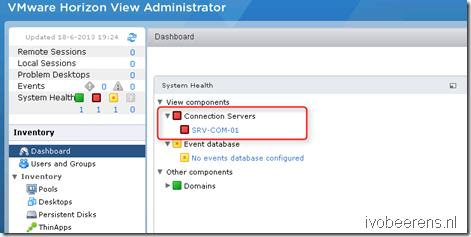 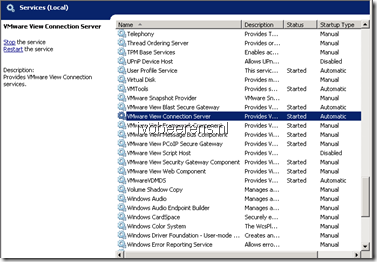 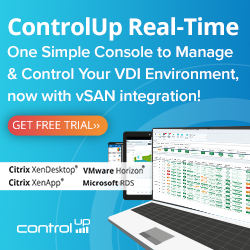 Restart the VMware View Connection Server service. 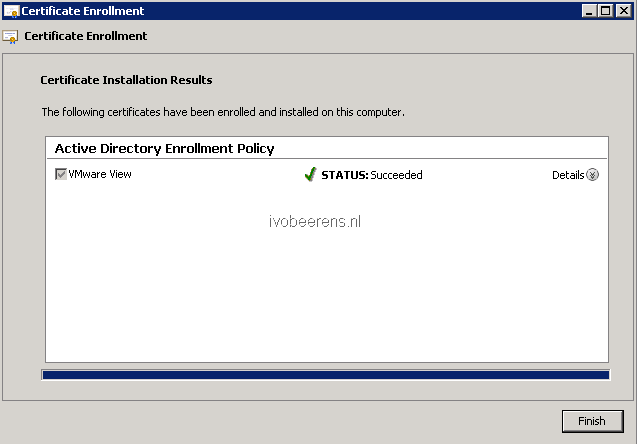 great HowTo, many thanks for this!